The Milani Conceal and Perfect is a full coverage matte foundation and concealer in one that not only covers blemishes, redness etc. but also conceals dark circles and spots. And with an extensive amount of shades to choose from, there's something for everyone whether you choose one or mix two together. The Milani Conceal and Perfect 2 in 1 Foundation and Concealer retails for £12 for 30ml of product. This comes in a glass bottle with a pump applicator. I find this works well with both a brush and damp sponge, I usually take a pump and a half of the foundation and distribute it evenly preferably with a Real Techniques Sponge that you can find here*. I picked up the Shade 01 Creamy Vanilla, however, I did find this had a slight yellow undertone, nonetheless, this blended out well and it gives a lovely flawless even coverage that's comparable to the Clinique Beyond Perfecting Foundation and Concealer that I reviewed here. I wore this for a solid nine hours and I would say it lasted well and still looked pretty good by the end of the day. Beauty Bay* and Beauty Base. Despite this having a slight yellow undertone I did enjoy the overall look and coverage of this foundation and I applaud Milani for releasing an impressive and extensive shade range. This is a little more expensive here in the UK however it's not that much more expensive compared to other foundations within the UK Drugstore market. Overall I think this is a great dupe for the Clinique Beyond Perfecting Foundation if you want something more budget-friendly that's still full coverage, matte and lasts, and I love the fact that Milani is finally an accessible brand within the UK, hooray for that! Have you guys tried anything from the brand? I award the Milani Conceal and Perfect Foundation a 4.4 out of 5. I first discovered the Original 10-Step Routine through the online Korean Beauty Shop Soko Glam* which was founded by Charlotte Cho and her Husband back in 2012. Soko Glam describes the routine as more of a lifestyle and highlights the fact that it isn't about having an abundance of products but alternatively about having the correct products that do the correct things in the correct order for your skin type and concerns. If you would like to know more about this then I'll link to Soko Glam's dedicated page on this topic here* and I also break this down further in my video that I linked above. In total there are 10 types of products that make up the Soko Glam K-Beauty Routine including four categories. Additionally Soko Glam has a super handy PDF here* that you can print out or save to your phone that breaks down the whole routine so you can have it to hand if you do decide to try out this 10-Step formula. 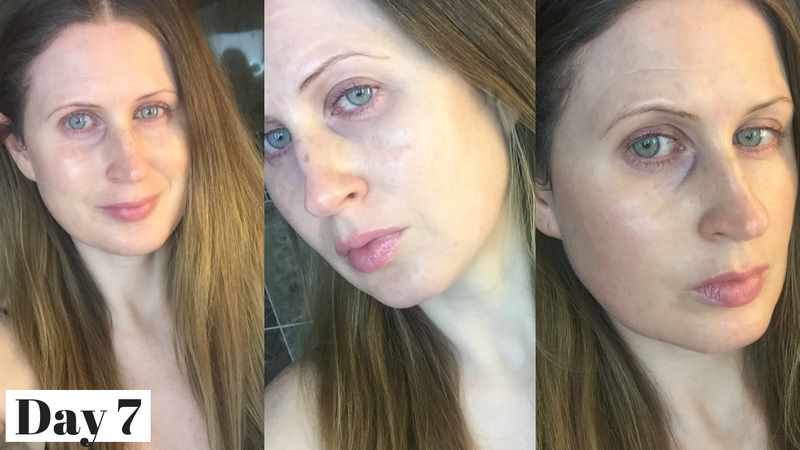 I have Normal to Combination Skin with the odd hormonal breakout and I am in my mid 30's. I already have an extensive skincare routine especially in the evenings, however, I do use a lot of different products on a daily basis and so it will be nice to stick to the same products and a more structured routine for a week. I used a mix of Korean, Japenese and Australian Products that I wanted to test out, but I advise using what works for you personally or alternatively, Soko Glam do have curated skincare sets for a 5 or 10 step routine to suit a variety of skin types here*. For some product categories I decided to add more than one skincare item to suit my Morning and Evening Routine and I've also included an Overnight Lip Mask to this too as I do love a good moisturising balm for the lips as well! Overall I absolutely loved doing this routine, each day I looked forward to doing every single step and this for me became a lovely daily self-care ritual as it helped me to dedicate the time to give myself a pamper. 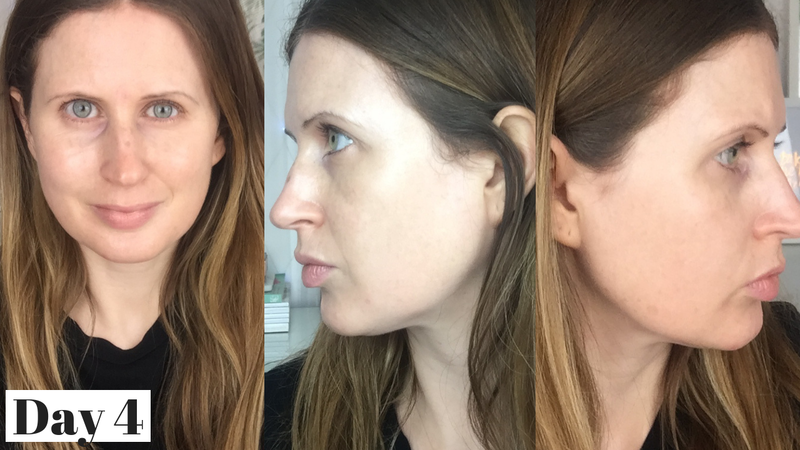 Even after a few days, I started to notice a difference in my skins texture and by the and of the week my skin looked glowy, felt softer, fresher and more hydrated. In my morning routine, I definitely enjoyed doing all the steps and I mentioned in my video that I would maybe take away the essence and the serum step just because I didn't think I would need these in my morning routine however I have actually continued to do my whole morning K-Beauty Routine as it actually doesn't take me that long and I missed doing all the steps! I did time how long this took me in the original video and it was only around 12 minutes. For the evening routine, I have continued to do all the steps apart from the sheet mask, I probably do around 3-4 each week instead of every day just because I'm yet to find a great value pack here in the UK especially designed for sheet masking every day, just like the LuLuLun ones I used which were Japenese. But if you are in the US, then Soko Glam have just curated an amazing new product from A'PIEU here* who make a box of 33 sheet masks (basically a months worth!) that are both convenient and better for the environment as they are all packed into the one box. Apply everything in thin layers that way it just soaks into the skin better as you are applying so many different layers and textures in a short time span. Gently pat the products in for example the Essence, Serum, Sheet Mask, Toner and the Cream. There's no need to exfoliate more than twice a week unless you are using something like the peeling pads that say you can use them daily. Sheet Masks are such a wonderful addition to your weekly skincare routine and there are some great ones out there that don't break the bank either! Find products that work for your skin type and concerns personally. They don't have to necessarily be Korean Products you've just got to find what works for you and your skincare budget. I absolutely love a good facial toner for not only balancing out my skin but also for hydrating, refreshing and sometimes setting my makeup. 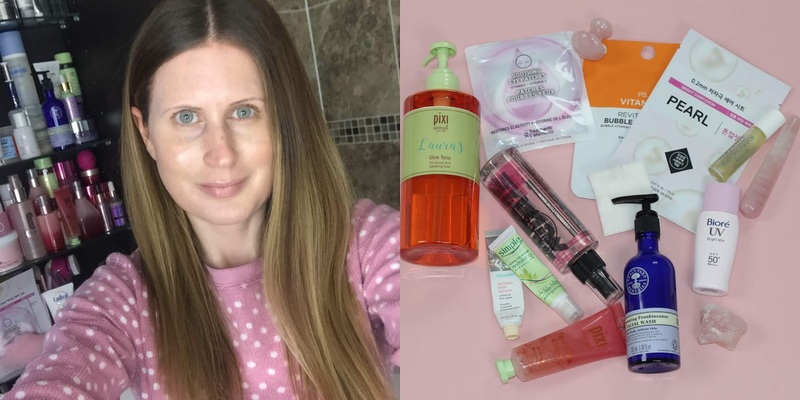 For me, a toner has multiple uses and there are so many great ones out there that are also affordable, that's why I thought I'd share with you my favourite five that are all under £10. 1. Superdrug Vitamin E Hydrating Mist - This one is an oldie but a goodie and an absolute steal at only £2.99 for a 150ml. I actually really like this first of all because it has a spray applicator which is my favourite way to apply my toner because of the convenience factor but second of all because as the name suggests this is so hydrating. My favourite way to apply this is after I've cleansed I love doing a double spritz as it gives my skin that lovely visible hydration boost and it's a great pick me up mist. 2. Simple Soothing Facial Toner - The Simple Soothing Toner is one of those classic toners which is perfect for anyone with sensitive skin because it has no artificial perfumes, colours or harsh chemicals in it and it's 100% alcohol-free. I personally love using this one after I've used lots of Glycolic, Retinol or peeling products because it just balances everything out after and it's wonderfully refreshing on the skin too. This retails for £3.49 for 200ml, however, I have to give a shoutout to Poundland who currently have it in stock for only £2! 3. Botanics 100% Organic with Rosewater Toning Spritz - Rose skincare has become a firm favourite of mine and I have two beautiful rose recommendations to share with you guys including another classic the Botanics Rosewater Spritz which is a Boots own brand. This decadent toner is perfect for all skin types and despite it being the most expensive of the bunch at £7.99 for a 150ml it's great for balancing out the skin and spritzing onto overheated skin in the Summer months. 4. Wideeye Facial Balancing Toner in Rose - My second Rose pick is from a brand I came across recently. Wideeye are a natural skin and body care company selling an extensive collection of products for all skin types and concerns. This rose toner has become a firm favourite within my collection as it's wonderful for calming the skin, reducing redness as well as being particularly great if you have dry skin. I actually love using this toner not only after cleansing but for spritzing onto my face as a primer before makeup and for setting my makeup after. It's just a really nice way to add a boost of hydration before I pop on my foundation so it sits on the skin a bit better. You can purchase this on their website here for £6.95 for a 150ml and free delivery. 5. B Essence Lotion - Now this last one is technically not a toner, it's actually an essence (if your unsure on what an Essence is then I actually will have a video dedicated to Essence's coming soon here). For me, an essence and a toner kind of do the same thing in the fact that they hydrate the skin the only difference being the toner is for balancing the PH and the essence is a more hydrating step within your skincare routine. The B Refreshed Essence Lotion is actually the only drugstore Essence I've ever come across in the UK that's affordable too and this one is specifically good for dry and sensitive skin as it is very soothing and hydrating. Be sure to watch my video I linked above where I demonstrate how I like to use this within my routine, but I do love this one especially as it does have Hyaluronic Acid in it. This retails for £6.99 from Superdrug for 140ml. First off I use a cleanser that is going to brighten my skin so I decided to apply one of my newest additions the Neals Yard Remedies Rejuvenating Facial Wash*. I apply one pump onto the skin and then wet my fingers to massage it in further. 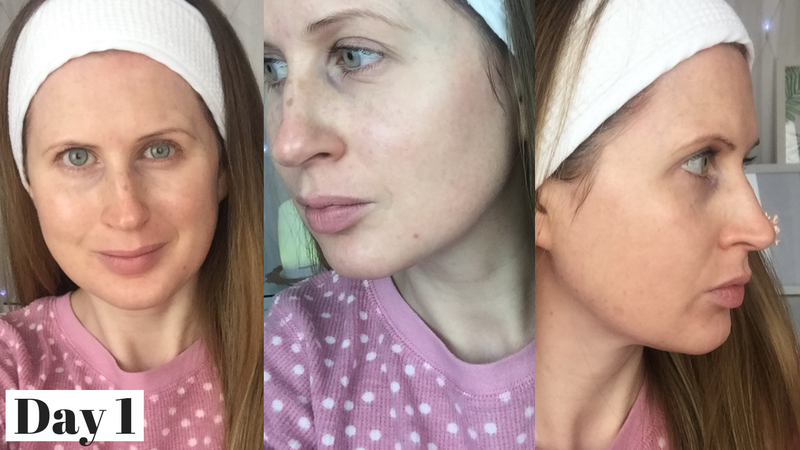 I also used my Lidl Cleansing Brush to give my skin a deeper more efficient cleanse. And to finish I used a cold flannel over the face to boost the circulation and remove my cleanser. Afterwards, I used the Pixi Glow Tonic* on one of my favourite muji cotton squares (these squares are so soft!). I also spritzed my face with this beautiful rose toner from Wide Eye here. While my face was still damp I used this Rose Quartz Massage Tool* that I mentioned in my skincare collection video here to help give my skin that naturally radiant glow. I love doing this as it aids in boosting blood flow and circulation. For the eyes, I also used the smaller side of this mini Rose Quartz massager to help penetrate my favourite cooling and brightening eye gel from Simple*. For moisturiser I decided to use the Pixi Rose Caviar Essence* as this is both great at hydrating and brightening the complexion. Finally to finish you guys know I like to apply an SPF 50 (this is my current favourite*) everyday, and on days when I’m not wearing makeup I’ll add one drop of the Revolution Liquid Highlighter in Starlight* in with it to give my skin that naturally looking radiant glow. Then to finish I just applied the Glossier Balm Dotcom* in Birthday to my lips for a subtle dash of sparkle and hydration. Also if you have time and you want to add an extra step to your routine a Pearl* or Vitamin C Sheet Mask are a great way to instantly brighten and hydrate the skin. If you are applying makeup that day a couple of other things I use are some hydrating under eye patches. I apply these before I do my makeup and leave them on while I’m doing my makeup so they really have time to sink into my skin and to hydrate and brighten the under eye area. Then when it comes to foundation and these days I'm more into a dewy glow, so I first massage in a facial oil with my other Rose Quartz face tool, then I apply my foundation on top. I adore using the Rose Otto Oil from Balance Me* and massage combo with the Milani Conceal and Perfect Foundation* as it gives the most beautiful dewy finish to the skin. Vitamasques are a Korean-British Brand focusing on affordable skincare that has no Sulphates, Mineral Oils and Parabens. They are also cruelty-free and vegan-friendly. Vitamasques sell a wide selection of sheet masks that cater to everyone and anyone including sachets for the face, hands and feet as well as sleeping masks. All of their masks can be purchased separately or in various bundles. Vitamasques kindly reached out to me to see if I wanted to try a selection of their sheet masks however not all of these I feature can be purchased as a bundle kit as a whole so I will link down below the masks separately and in the price section which masks come in similar collections to the ones I received. As I mentioned above Vitamasques cater for anyone and everyone however if you are looking for a specific mask or bundle for your skin type or concern then their website can help you easily navigate to the right ones for you. Aloe Vera Jelly Mask £5.99 or £14.99 as part of the Perfect Balance Bundle here. Multivitamin Sheet Mask £4.99 or £14.99 as part of the Perfect Balance Bundle here. Bamboo Charcoal Sheet Face Mask £3.99 or £14.99 as part of either the Classic Collection here or Cleanse & Detox Bundle here. Tea Tree Sheet Face Mask £3.99 or £14.99 as part of the Classic Collection Bundle here. Orange Slice Eye Pads £3.99 or £14.99 as part of the Cleanse & Detox Bundle here. Milk Sheet Mask £4.99 or £14.99 as part of the Perfect Balance Bundle here. Pearl Sleep In Mask £3.99 or £12.99 as part of the Sleep In Collection Bundle here. Not only is the packaging fun, informative and easy to use, but the quality of the sheet masks is impressive too. Aloe Vera Jelly Mask - This hydrating and soothing two-step jelly mask is very well saturated with tonnes of jelly which you apply to the face first by cutting open the top part of the sachet. After you have applied your layer of jelly you then go in with the sheet mask applying this on top, which is located in the bottom part of the sachet. This fitted to the face well and is actually a great one to keep in the fridge and to take away on holiday thanks to it's refreshing, soothing and hydrating properties. Overall this is one of my favourite masks because my skin felt and looked visibly smoother. Leave on for 20 minutes. I also have a live demo on most of the masks linked in the video above if you would like to see them in action. Multi-Vitamin Sheet Mask - This hydrating and refreshing b vitamin mask is well saturated with a gel-like serum to help balance out the skin. Great for all skin types the multi-vitamin mask stayed on my face well and afterwards my skin looked and felt instantly hydrated and glowy. Leave on for 20 minutes. Orange Slice Eye Pads - These handy eye pads are a great pick me up for tired eyes and even better kept in the fridge! Inside you'll find 4 sets that can be used over the eye or folded under the eye, you can even use them on the face and neck too. Overall the orange eye pads are wonderfully hydrating, refreshing and they smell so good! Leave on for 5-10 minutes. Pearl Sleep In Mask - This no-rinse mask sleeping mask with real pearl has a gel-like texture that when applied to the skin sinks in straight away. This comes with a mini spoon for you to mix the mask together which is fun and you even have enough for 2-3 applications. Apply this as the last step in your evening skincare routine and let the beautifully moisturising mask sink into the skin overnight without the worry of having to wash it off. I really enjoyed using the mask as it helped my skin look glowy, instantly brighter and super soft. The expiry date can be found at the bottom of the packet but usually, sheet masks can last for up to 3 years unopened. Vitamasques directly, Look Fantastic*, Glossybox* and HQ Hair*. I absolutely fell in love with this brand and everything they stand for. The masks all have great price points and the bundles are a wonderful way to either try out a few masks or give them as a gift to someone who adores their skincare! The packaging and quality of the masks are impressive and it's great to see Korean quality skincare finally branching out here in the UK. 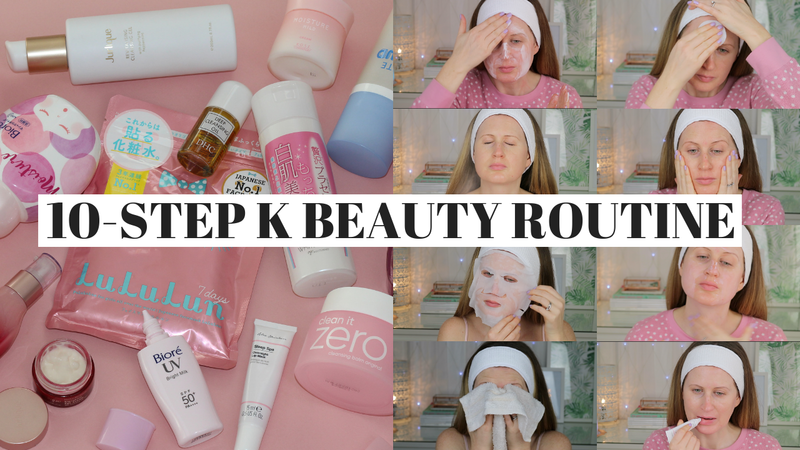 I really hope you found this helpful and I look forward to bringing you more K Beauty Brands here on the PPB Blog and Youtube Channel. I award the Vitamasques Sheet Masks Bundle as a whole a 4.9 out of 5. * This was gifted to me but as always all opinions are my own. Hey guys, I hope you're all well! 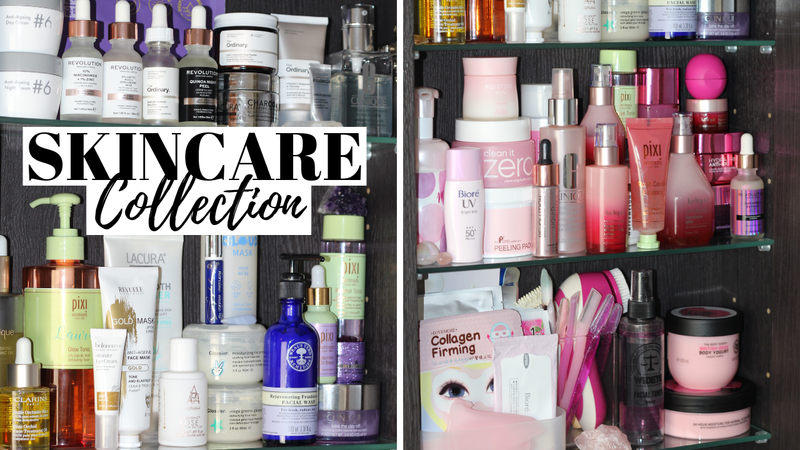 Today I'm sharing with you my updated Skincare Collection and what's inside my skincare cupboard for January/February 2019. 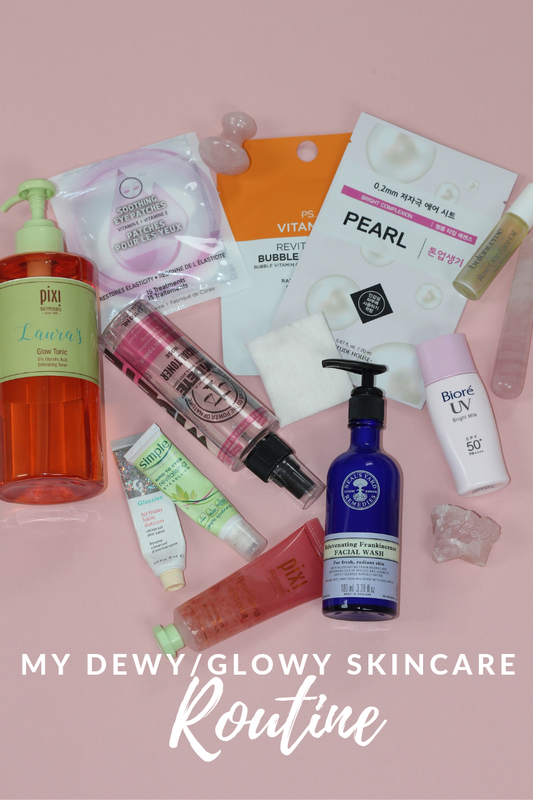 I love trying out and testing new products with you guys and have many reviews here on the PPB Blog and on the PPB Instagram of most of the products I mention, as well as some exciting new skincare reviews coming up this month! 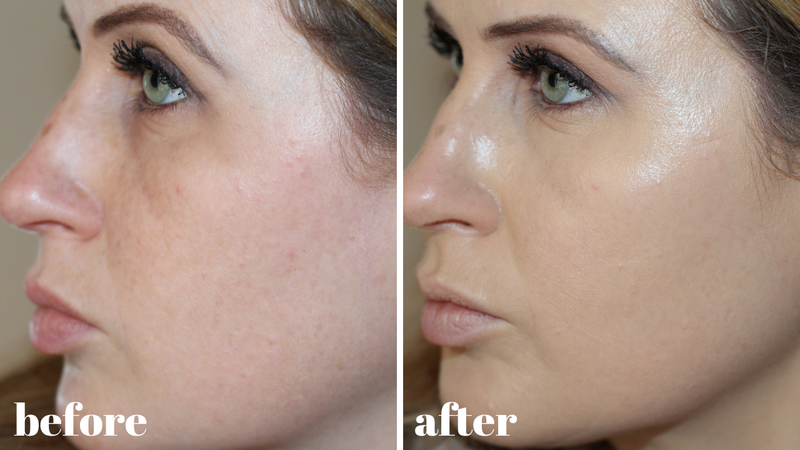 In the meantime feel free to check out my Skincare Week series on the PPB YouTube Channel here.